Marja & Henk are a couple who write reviews for the Swiss Internet magazine 6moons.com. It’s a quite unique situation as specialist journalists and reviewers usually are lone wolves who enjoy their own company and value their own opinion and independence. To have to work out a common position on as sensitive a subject as sound is for them (us) unthinkable and the difference between win or lose. 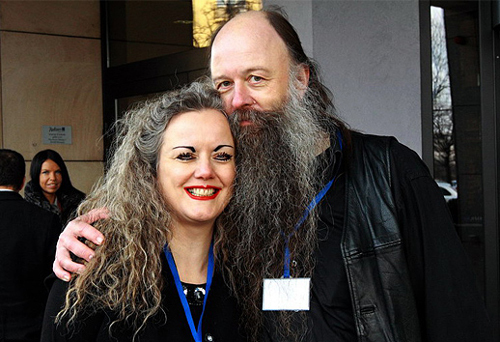 Yet one look at this couple (I took the photo at the Audio Show 2012) is enough to understand better. They seem like a single four-armed two-headed person. Their own carefully balanced but at the same time explicit opinions are written with such originality that they contribute something fresh to audio literature. They seek out small unknown manufacturers and observe them with interest, giving them a chance. 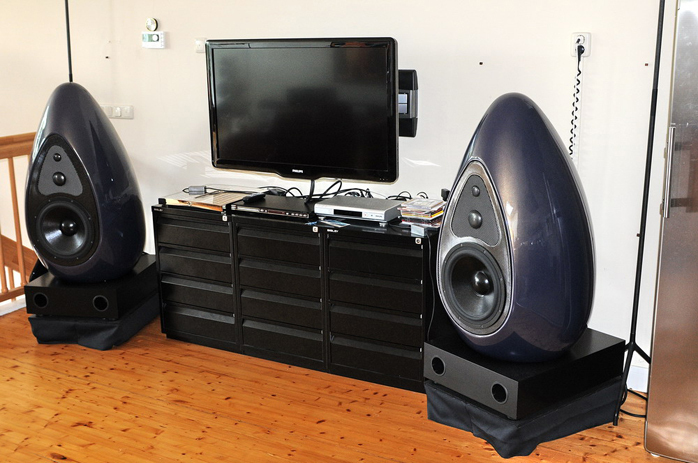 Their visit to the Warsaw Audio Show in 2012 resulted in new contacts with Polish manufacturers and new product reviews. 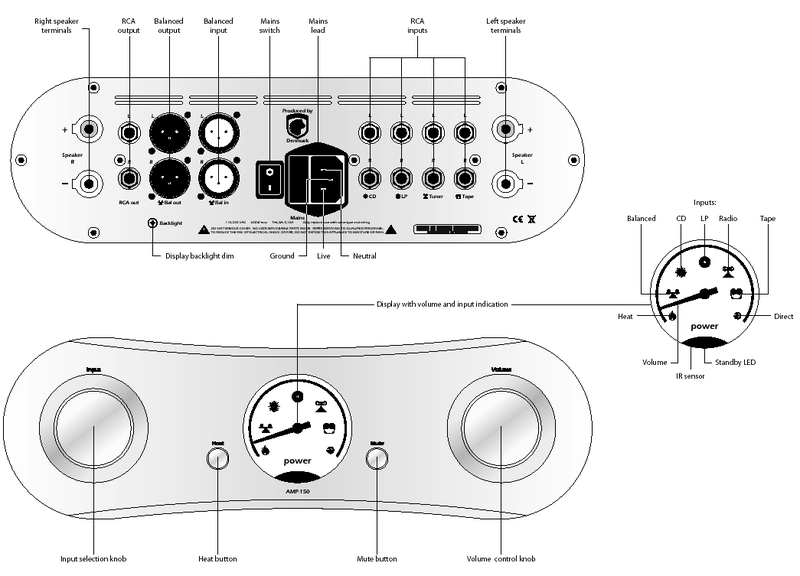 They already reviewed anti-vibration accessories from Franc Audio Accessories (here) and Audiomica Laboratory cables (here), with more to come. Ladies and gentlemen, please welcome Marja & Henk in a double interview! Wojciech Pacuła: How did you appear on 6moons.com? I mean, how did you start your cooperation? We had been reviewing for a couple of Dutch magazines and a website since the beginning of this century. It was in 2003 that we liked the early 6moons website so much that we contacted Srajan and introduced ourselves. One result from that contact was Srajan’s request for a sample review to assess our reviewing and writing abilities. With that we passed and our first review published on the website in September 2003. Writing for an international website is a bit like pen palling. All communication is done exclusively via e-mail. Luckily there are many audio shows around the world that offer great excuses to travel and at many such occasions we met Srajan in person. Please tell me something about yourselves – your past, your career and your plans. The ‘we’ is Marja Vanderloo and Henk Boot. We both carry a Dutch passport and recently relocated to a house with plenty of listening possibilities in rural Holland. Our income derives from working in IT. Audio writing is a pure hobby that got a bit out of hand. Music has been the theme in all of our lives. Growing up in the 60s was definitely the foundation where we developed a broad appetite for all kinds of music. A true guide through the musical universe was Frank Zappa. He led us on a musical path through classic and modern music. It was he who pointed us at Miles Davis, another great music teacher and guide. Of course playing in a band was almost mandatory in those days and listening to LPs at home could get loud when you used a double Marshall stack as hifi. Those LPs came from recommendations by friends, day-long listening sessions in record stores and of course the underground radio stations which played wonderful new stuff late at night. Nowadays we discover tons of new music via the Internet. Sites like Bandcamp and CDBaby offer hundreds of thousands of independently released albums which first can be listened to and when liked bought and downloaded in at least CD quality for a fair price. What is your review philosophy? What do you look for in a review? The gear we review is most often not the average stuff you find in stores everywhere. We try to find new and exciting designs that offer something very special. It is the passion of the designer we look for. That passion once transformed into something physical capable of transforming music captured on a carrier into music in the room complete with all the emotion – that's what we look for. Music equals emotion and that should be passed on to the listener. That journey towards Musical Ecstasy as our late friend Harvey ‘Gizmo’ Rosenberg called it is what drives us. Do you think that web-based magazines can be a reliable source of knowledge? Why do print magazines try so hard to discredit everything related to Internet publications? Web-based magazines are a true source of knowledge and information starting with the ability to quickly search for any article of interest. You can Google a word and direct the search engine towards a specific website or let it roam the entire WWW. Print magazines lack that option. The best they can offer is a summary of published articles sorted by subject or name. Web magazines can also react to current affairs much quicker as they are not bound to a maximum number of printed pages, deadlines and distribution channels. Of course many print magazines see web-based competitors as a threat but that's only because they don't fully use their own capabilities. If they would use the energy they now waste on bashing web magazines on making a beautiful printed magazine, they'd be far happier. Tell me something about the Dutch audio market – what is it like? Is it healthy or not? We see the market the same way we see the audio magazine market. If you do nothing but complain, your only way is down. Yes there is a financial crisis and some sales are down. Those that are down are the sales of middle-of-the-road gear, the stuff that fills the racks of the big Media Mart type stores. Distributors rent so many square meters in such shops and fill their allotted space with boxes. The more the store turns over the better a price they get for their square meter. Audio dealers that work on that basis of just shifting boxes have a hard time. Those dealers who add value still do good business. Due to the so-called crisis many shops have closed. We think they closed because their business model was wrong. Just sitting in your shop waiting for customers to show up doesn't work. A dealer must be proactive and offer great service. A dealer should be your partner to audio happiness and help you as much as possible. 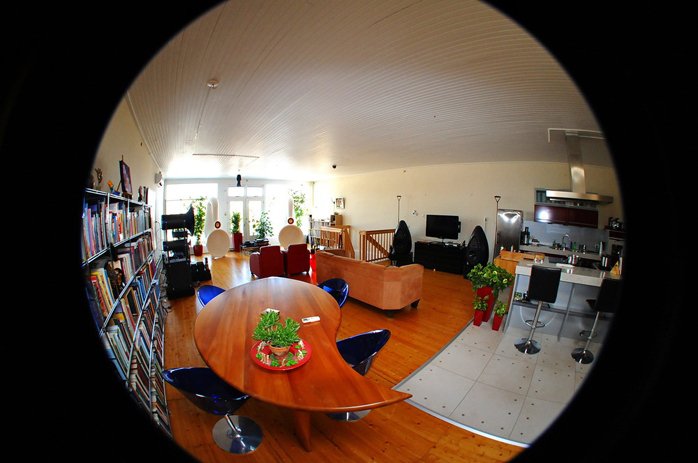 Think of home installation, power quality assessment, acoustic tuning and correct speaker setup. Those who offer such services make good sales even today. There’s even a benefit of the ‘crisis. Money in the bank generates no interest. Inflation percentages are higher than interest rates. Spending your money on something fun is a much better investment. What are the main Dutch audio print magazines – we know mainly the English ones? In Holland there are two competing audio print magazines. One is a privately owned company, the other is part of a bigger publishing company. The first is a more glossy block-bound monthly fully focused on audio while the latter also covers video. Both magazines are also distributed in Belgium where Dutch is spoken. What is your reference audio system? Why this choice? At the moment we have three reference systems ready to play. For digital we have a system that consists of a custom-built Windows PC running XXHighEnd software driving the Phasure NOS1 DAC. From there the signal is sent to a pair of Hypex Ncore 1200 class-D monos which in turn drive a pair of huge Arcadian Audio Pnoe full range AER MD 3B-based horns. For below 40Hz we use a Zu Audio Submission MK1 subwoofer powered by an internal Hypex amplifier too. Cabling here is by Nanotec of Japan and Crystal Cable from Holland. Another system for digital playback uses a PS Audio PWT transport as source. All other signal processing is done by a Devialet D-Premier AIR which also accepts streaming input from an iMac. 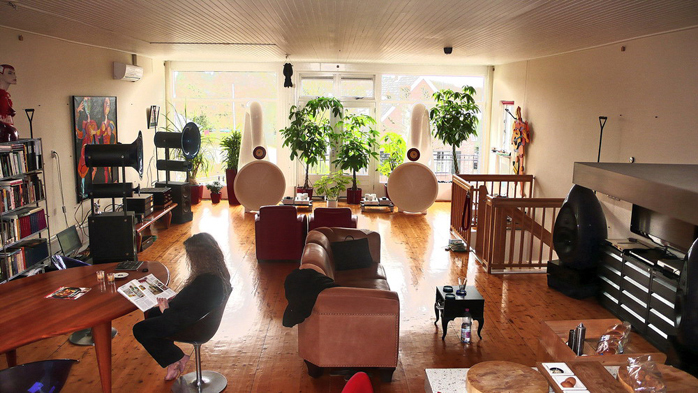 Loudspeakers here are Avantgarde Acoustic Duo Omega and cabling is by Nanotec and ASI. For movies we use a system around Belgian Vaessen Aquarius loudspeakers while the Philips DVD player and satellite receiver send their S/PDIF signals to a second Devialet D-Premier. 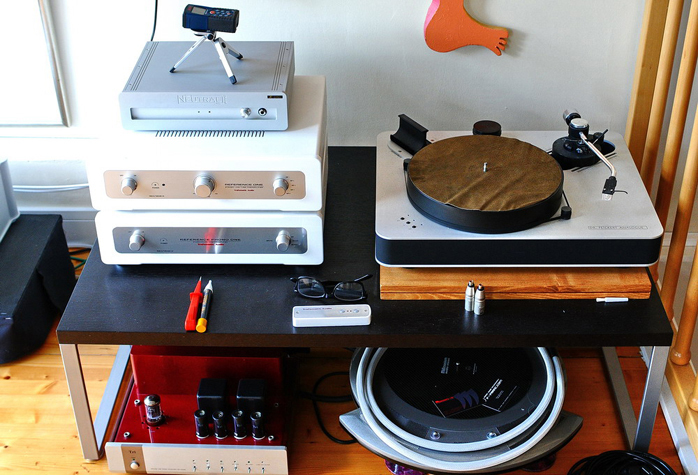 For our analog pleasure we use a Dr. Feickert Analogue Blackbird turntable with DFA 1o5 tone arm and Zu DL-103 cartridge. 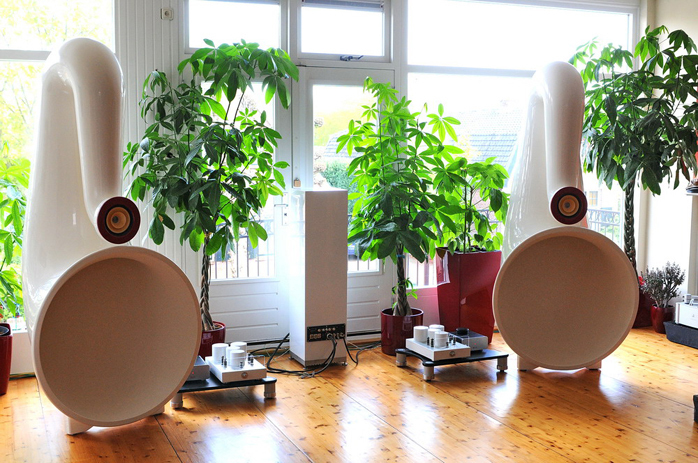 As phonostage there is a Trafomatic Reference One Pre followed by a Trafomatic Reference preamplifiers and a pair of Trafomatic Kaivalya monoblocks. By swapping the Crystal Cable loudspeaker cables the Pnoe can become the loudspeakers here. All systems are electrically phase aligned and use various AC treatment. Of course the setups change when review gear comes in and we look for the best match. In storage we have various cables, spare connectors and all the other things one might need just like a collection of 300B tubes from different makes and vintages for our Audio Note Meishu. In all our own equipment we look for speed and dynamics. For us those two factors are the most important. They create liveliness and are like salt and pepper in a dish. You need plenty to get all the flavors from your chosen ingredients. What do you think about the future of audio? About how we see the future of audio we can be brief. The future is bright! Downloading and streaming are the magic words for musical sources. Today more and more record companies are cut out of the loop and artists take their own responsibilities to share much more beautiful music at great quality. Speaking of quality, the high-res hype is not going to make it. Super high res will stay marginal. There is still so much hidden in the CD format as we notice on a nearly daily base when we add more CDs from our collection to the hard disks of our PC. Eventually we think new recordings will become available in the 24/192 format for download only. Eliminating the restrictions of physical media makes that transition easy. What do you listen to at home when you want to relax? That can be anything from large opera to experimental free jazz. Most of the time—and PC-based audio makes that even simpler—we compile a music menu. That menu can be theme-based like all music from a certain composer, musician or having a main instrument in common. It's a bit like a real home concert, planned and sequenced..
What can web-based magazines learn from print magazines and vice versa? What we think print and online magazines could learn from each other is that each should stick to their own media code. A print magazine is for slow reading. Most webzines are intended for fast reading like browsing. With the exception of a few webzines like Tone Audio and 6moons, webzines use busy layouts that distract and run relatively short articles. Print magazines are rooted in the art of graphic layout. They know what font to use. Many webzines are made by well-intentioned amateurs and it shows. What audio magazines do you read? All in all we do not read audio magazines. Occasionally we flip through one when we are in a magazine shop but we don’t read anything cover to cover. What kind of live music do you like, what concerts do you go to? We think music reproduced at home is an art form distinct from live music so we listen to the latter with a different mind set. In live music there is no soundstage, no imaging, no holographic depiction, no PRaT or whatever audiophile description you might throw out. With live music there is just that: live music. The music cannot be repeated, it is unique with all its flaws and errors and that makes it beautiful. It is the beauty of imperfection, impermanence and spontaneity. With these parameters it does not matter what the music is and who is playing it. What do you believe the absolute sound is? We think there is no absolute sound. Everything you hear is subjective. Just like I can’t tell you how I see colors (where does green end and blue begin in the spectrum), I can’t tell you what I hear let alone that it is ‘absolute’. If my way were absolute, there would only be one correct audio reproduction system in the world. Imagine what consequences that would have for freedom, democracy etc. Do you think that audio magazines should be specialized or rather wide open to everything on the market? In our opinion a print magazine should be specific and let the ‘rest’ be covered by the WWW. A small group of highly qualified writers covering a subject in depth is what we think adds value to a print magazine. Web magazines are moving more and more to crowd-sourced articles. Look at the masthead of web magazines and see all those associated names. Then look at the masthead of specialized magazines - only a handful of paid (!) editors. Could you list your 10 most loved albums which you are listening to now? Thank you for the interview and see you soon at the next audio show!